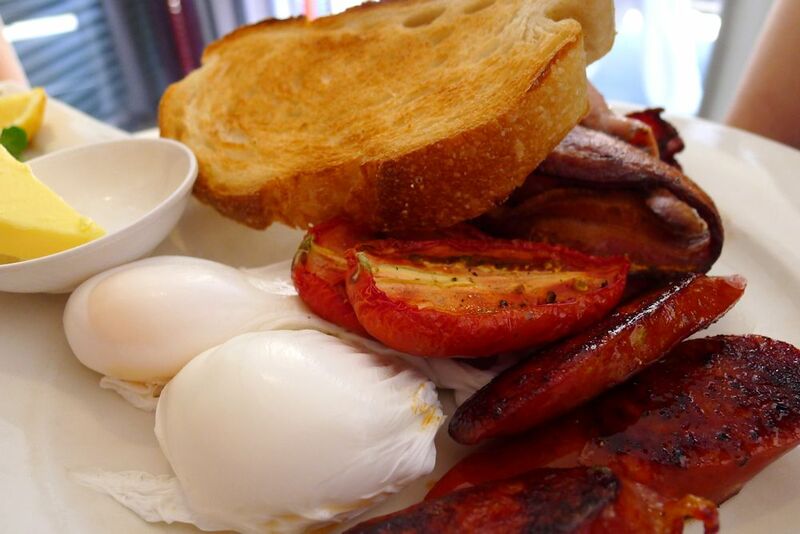 Another re-review of one of my more memorable breakfast spots. 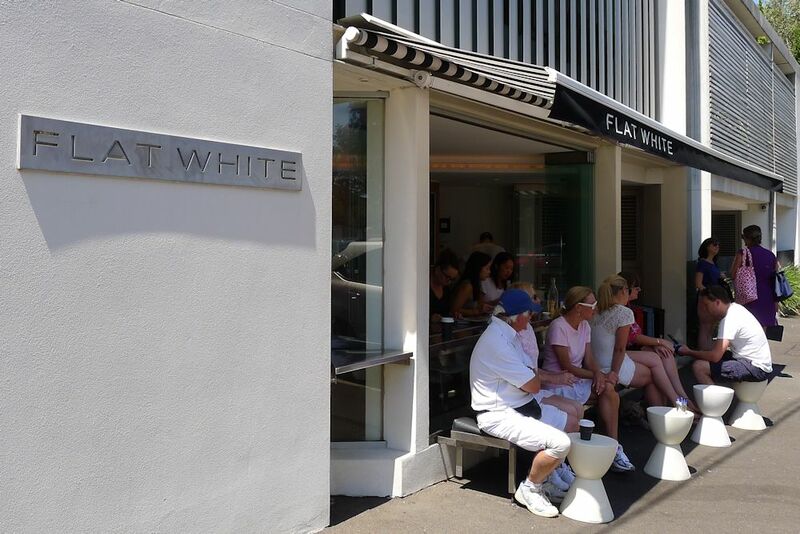 Since it was 2010 when I last reviewed Flat White Café, it was overdue for a return visit. Once my name was on the list, I savoured the flavour of a fantastic flat white coffee and watched the locals emerge from their abodes in search of caffeine and hangover cures. I get the impression that the staff at FWC genuinely care about your breakfast experience. From the constant reminders that they are aware of your presence on the waiting list to time they take to chat to you and recommend dishes, you’ll certainly feel welcome. 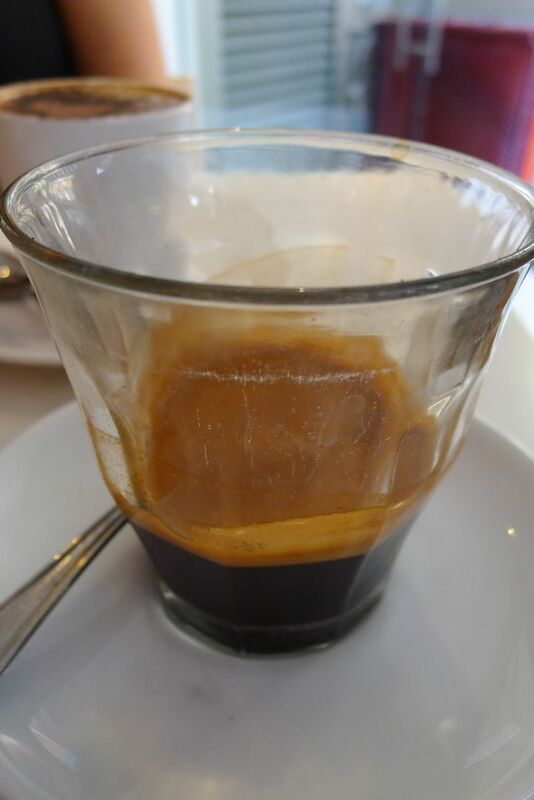 The coffee (regular $3.50, large $4.50) is their own blend and worth travelling a distance for. It’s something that FWC can be proud of. They also offer a large selection of teas ($3.50), the hangover smasher (freshly squeezed juice with Berocca ($7.50), milkshakes (strawberry, chocolate, caramel, vanilla, $5.50) and iced coffee or iced chocolate ($5.50). 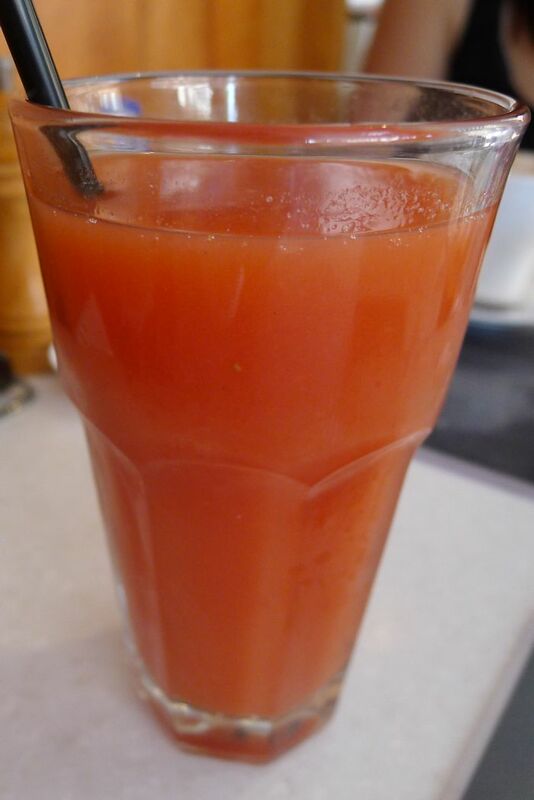 The freshly squeezed juice of the day (regular $5, large $6) is a blend that is ever-changing. This weekend it was watermelon, pineapple, mango and passionfruit which was a suitable hangover killer in its own right! One of the most memorable features about FWC are their specials. Whether it be for breakfast or lunch, they always offer something unique and exquisite for a short period of time and I have never been disappointed (check their Facebook page regularly to see what they’re offering). 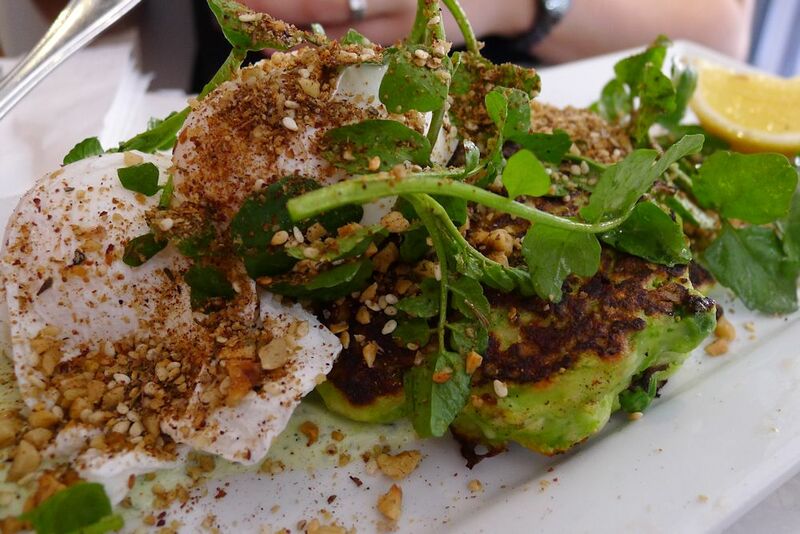 The smashed pea and haloumi fritters ($24) was presented beautifully and showed that they know their flavours here. The fritters themselves melded the peas and cheese together well but it was the topping of dukkah and minted yoghurt on the side which brought it all together brilliantly. There wasn’t an overabundance of anything and there was cleverly a small amount of yoghurt to ensure you don’t slather too much of it over the dish. The eggs once again were poached perfectly. As great as the fritters were, the brioche French toast ($16.50) was the dish of the morning for me. It was also huge: two delightfully soft and fluffy pieces of toast, dripping with maple syrup and topped with fresh banana. The bacon ($5) I added as a side (because that’s just what you do with French toast) and it was crispy, plentiful and delicious. 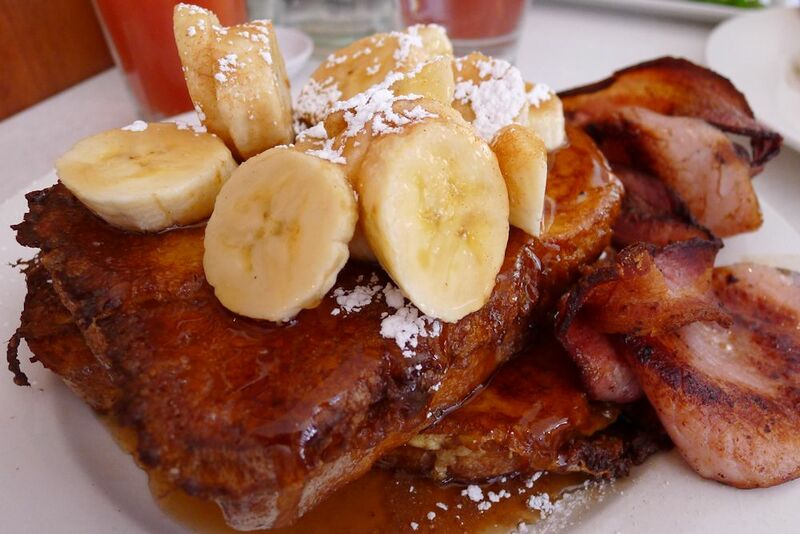 My favourite French toast in a long time. The breakfast menu offers so much more including the seasonal fruit plate with honey and yoghurt ($15), croque monsieur or madame with nan’s tomato relish ($15/$17), ricotta hotcakes with strawberries, maple syrup and cinnamon butter ($16.50), a huge selection of gourmet omelettes as well as baked eggs with chorizo and mushroom, served with a tomato and feta salad (which I have also had before and can recommend, $18). 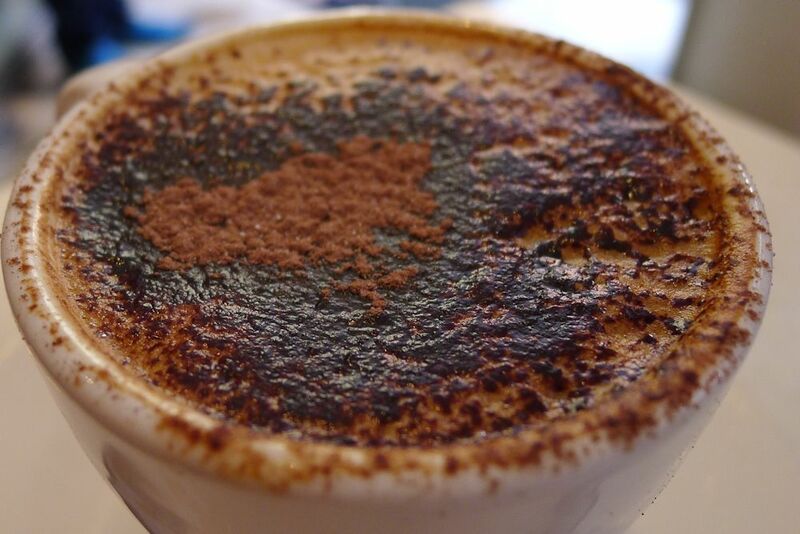 Flat White Café without a doubt sets the benchmark of breakfast excellence in the eastern suburbs so be sure to do yourself a favour and visit. This entry was posted in Sydney - CBD, Sydney - Eastern Suburbs and tagged Disabled access, Dog friendly, Free range eggs, Parking close by. Bookmark the permalink.